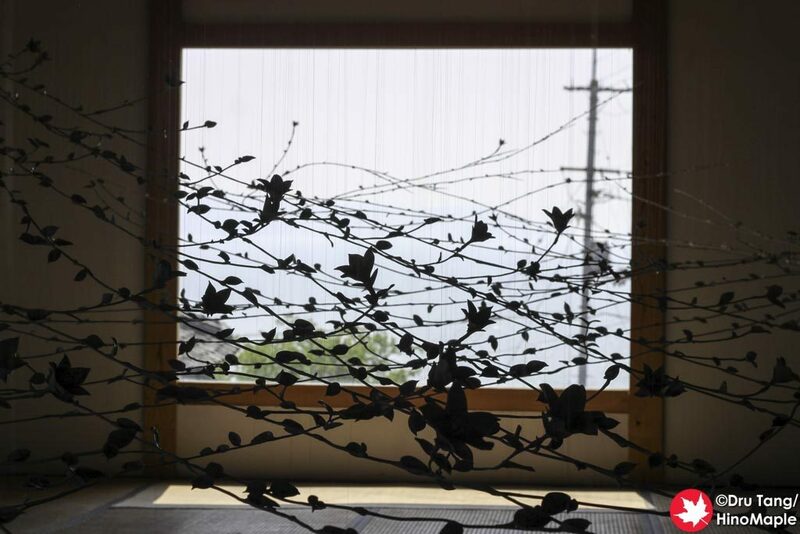 SEA VINE is one of the most beautiful artworks on Ogijima. It is returning from 2013 and from what I heard, it has grown. 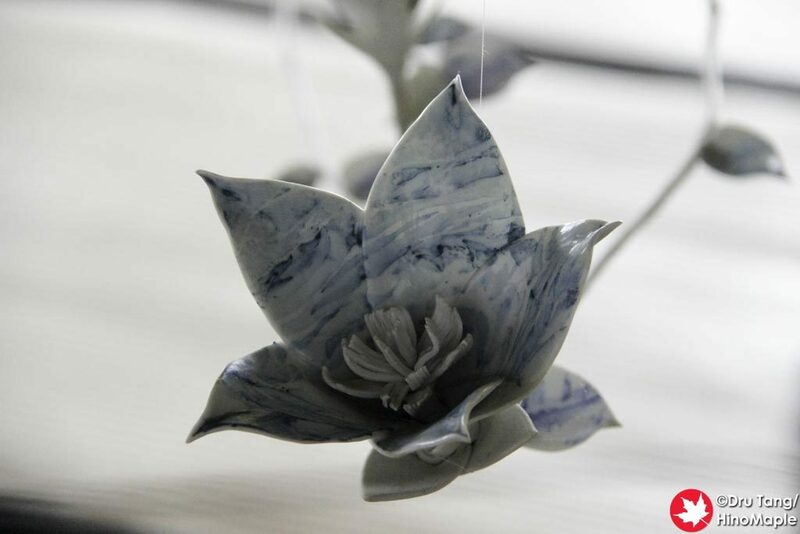 SEA VINE is what you might imagine it to be; it is a vine with flowers and images of the sea. Haruki Takahashi has done an amazing job with this and like 2013, I had a tough time getting good photographs of this artwork, but I did enjoy it a lot. 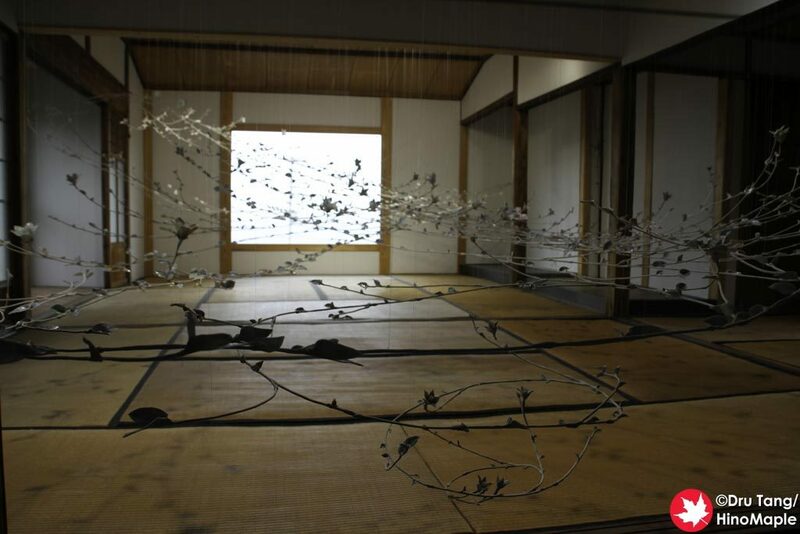 You cannot really see most of this artwork up close. 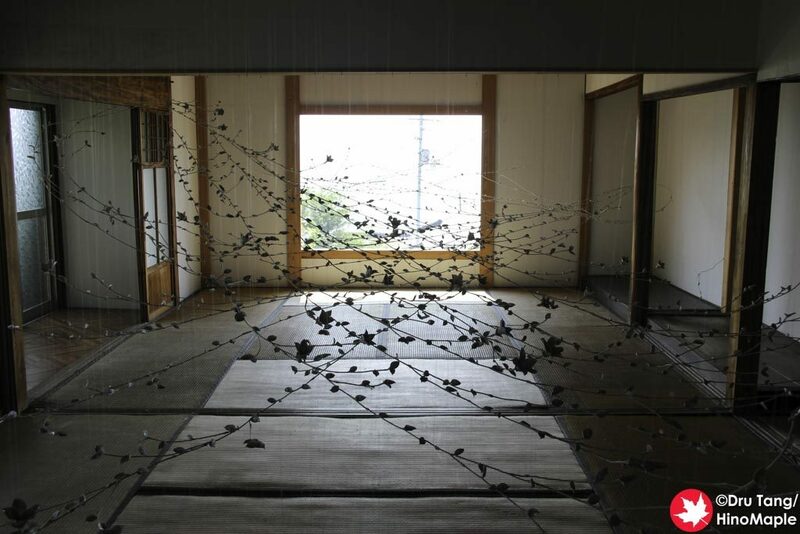 When you enter, you have to put your bags down on a counter and then you can see the SEA VINE. 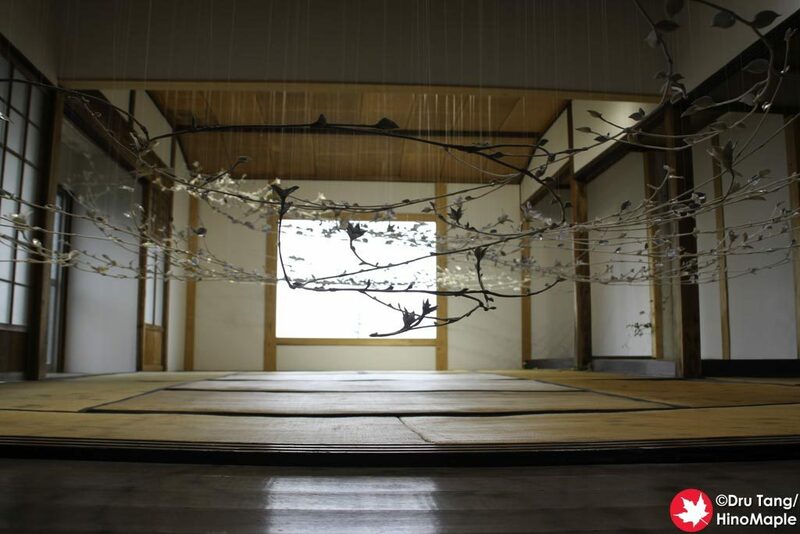 The vine itself twirls its way around a large tatami room. It twirls almost as if it was blowing in the wind. 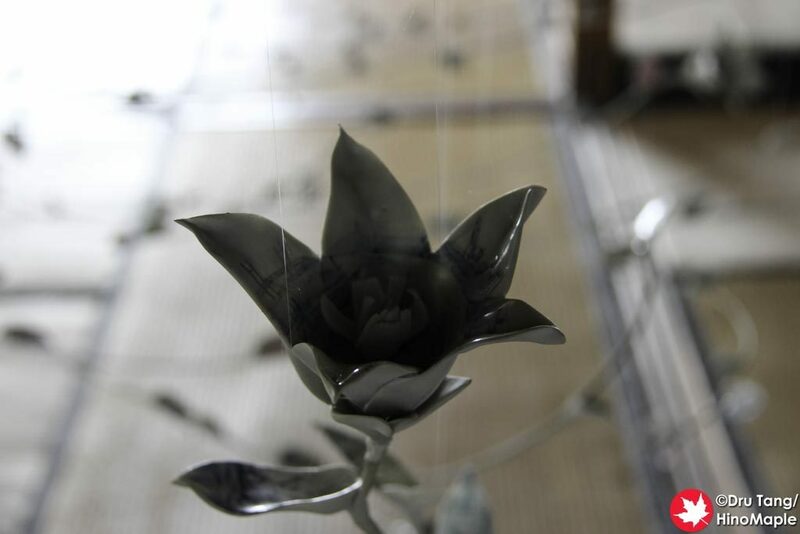 The window at the end of the room really sets a good contrast to enjoying the artwork, but it makes it very difficult to see the images on each flower. 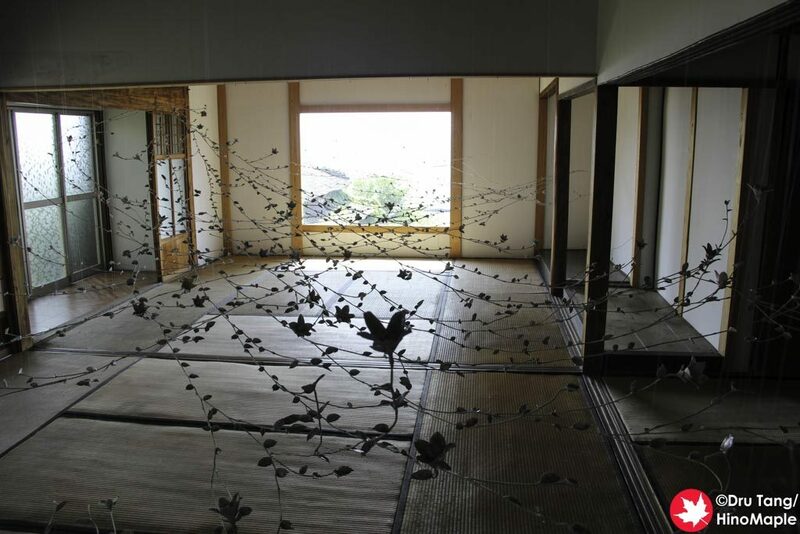 Each blooming flower is supposed to have images of the Seto Inland Sea, or Ogijima. 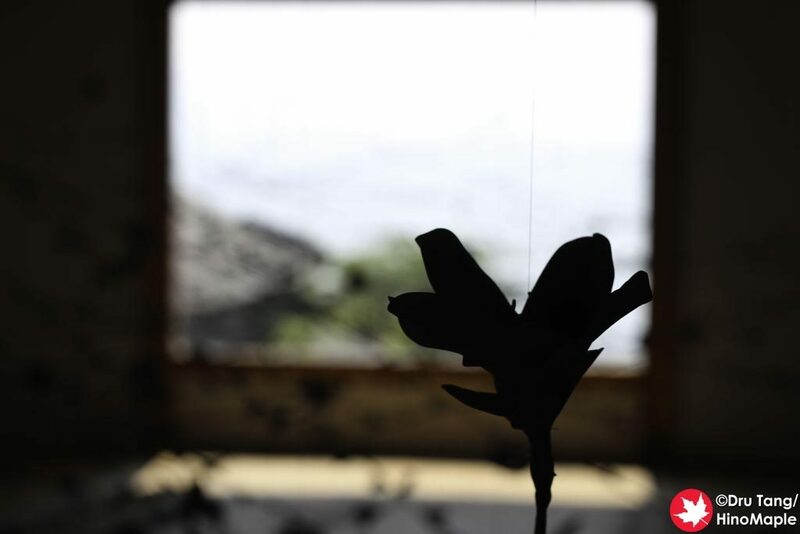 Even the individual leaves of the vine had images of the Seto Inland Sea. I didn’t notice this when I went and have no good photographs that show this but I did make out the images from what photos I did manage to take. It was pretty difficult to do so anyways with every backlit. I couldn’t get many detailed photos of this artwork because you are very close to it and all of the light is coming from behind the artwork. If you put down your camera and just enjoy the artwork you will be amazed. 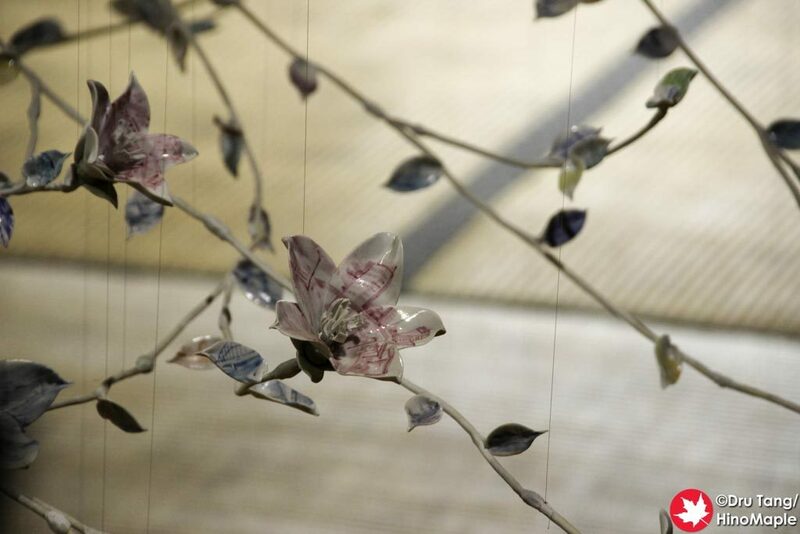 The intricate shape of the vine and the details of the flowers are just astonishing. I have almost no words to describe it properly. It is a must see artwork and I really encourage you to go and just enjoy it. 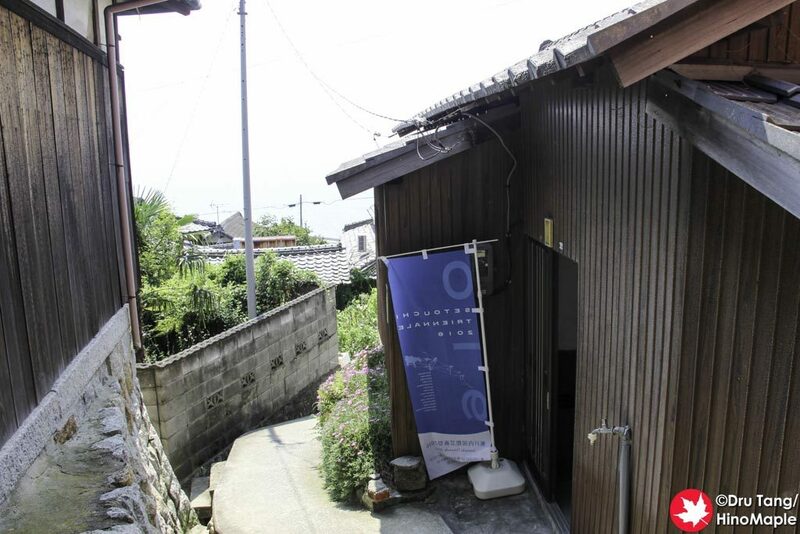 Note: SEA VINE is no longer available on Ogijima. 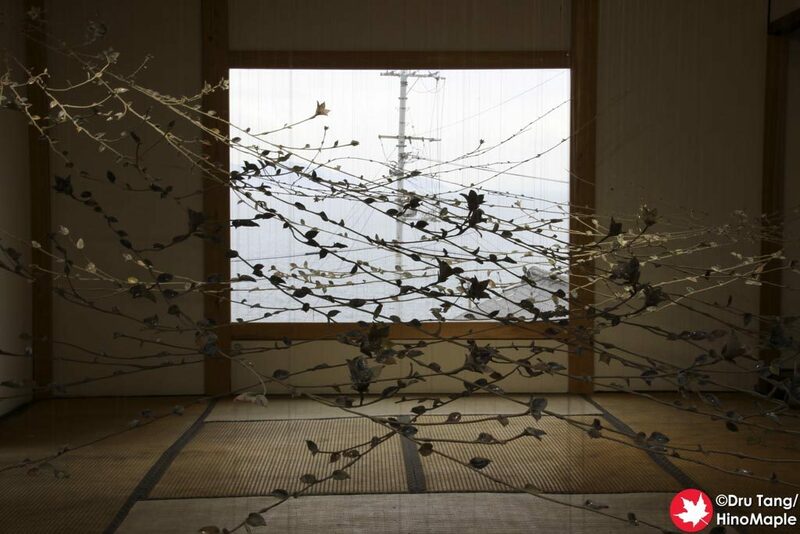 This entry was posted in Setouchi Triennale and tagged Haruki Takahashi, japan, Kagawa, Ogijima, SEA VINE, Seto Inland Sea, Setouchi Triennale, Takamatsu by Dru. Bookmark the permalink.